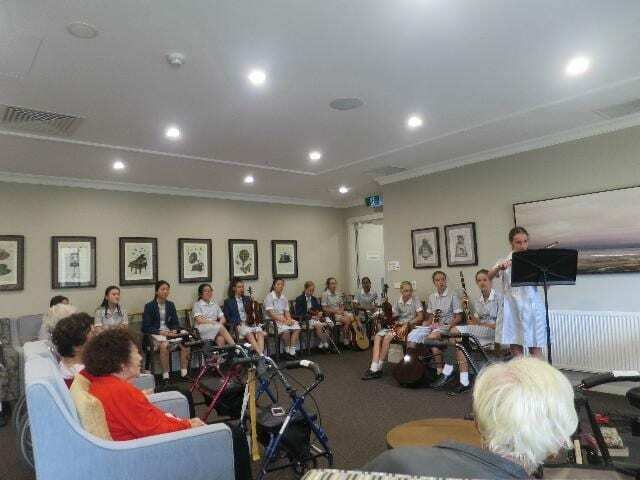 Recently, 15 lovely young ladies from Caulfield Girls Grammar School came and performed a recital for the clients at Arcare Caulfield. One by one, the young ladies took turns playing the violin, guitar, piano, and singing. The clients were all very impressed at how the young musicians skillfully played their instruments. One of our clients, Kathleen, was particularly impressed by one of the school girls who was playing a giant cello! Before the Caulfield Grammar girls left, we handed them out chocolates to thank them for their wonderful performance. 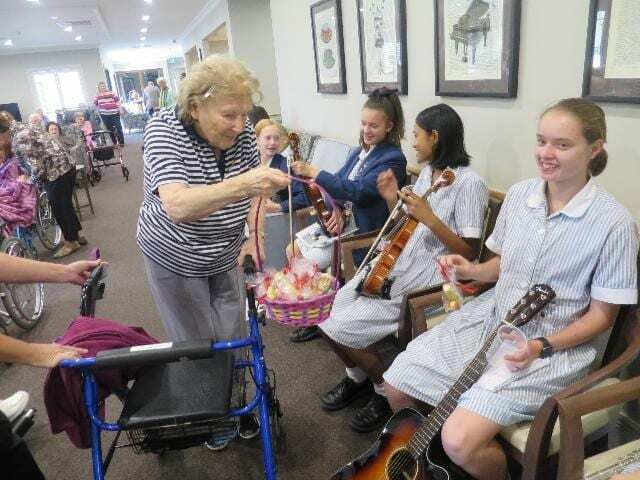 Our client Elizabeth, who is usually shy to stand out, was quick to raise her hand and offered to be the Easter bunny and hand out chocolate to the girls. The afternoon was a great success and was filled with clapping, smiles, and lots of chocolate!